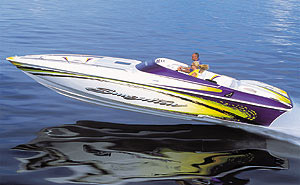 New for 2010, the 36' Dominator is the spark that's ignited a much-needed fire at Sunsation Powerboats. 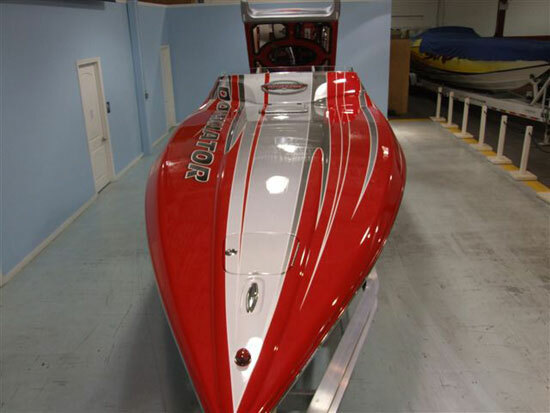 Not all that long ago, the once 50-employee-strong team at Sunsation Powerboats was down to four people, three of them being the Schaldenbrand brothers who own the Alongac, Mich., company. And yet for Wayne Schaldenbrand, who founded the performance-boat outfit in 1982, shutting down was not an option. It never even crossed his mind. 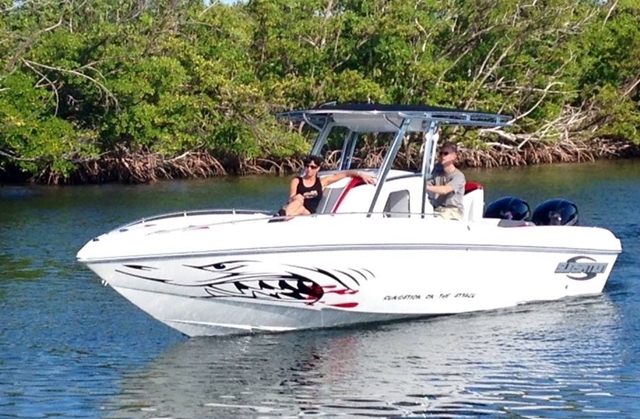 Sunsation is delighted with buyer response to the 36 Dominator. 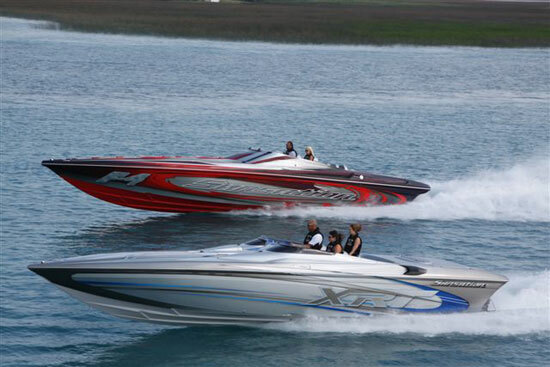 And that’s a good thing for performance-boat buyers around the country, as Sunsation is experiencing a steady resurgence thanks to its new 36’ Dominator, stepped-bottom V-hull that, with a pair of staggered Mercury Racing 525EFI reportedly runs almost 100 mph. 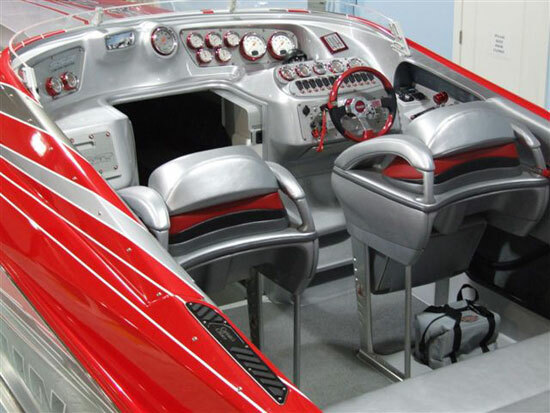 In fact, the new 36-footer, which is priced at approximately $300,000 with that power package and a host of buyer-selected options, is posting higher pre-production sales than any model in the history of the company. 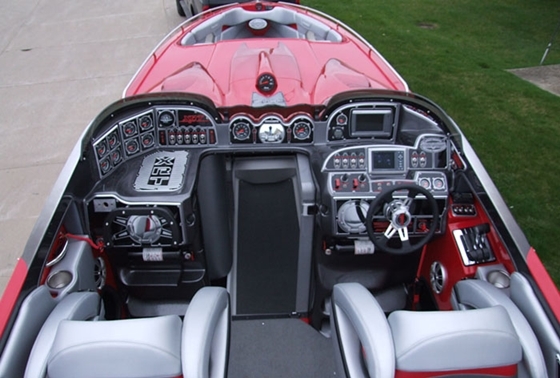 In human terms, new-boat orders translate to jobs. Sunsation has brought back half its workforce and if things keep moving in their current direction the entire crew may eventually get back on the clock. In addition to the eight 36’ Dominator’s on order, Sunsation has orders for three 28-footers, two 32-footers and even a couple F4s, the company’s flagship 43-footer. Depending on your perspective, the F4 hit the market at exactly the best or worst time possible when it was introduced a little more than three years ago. 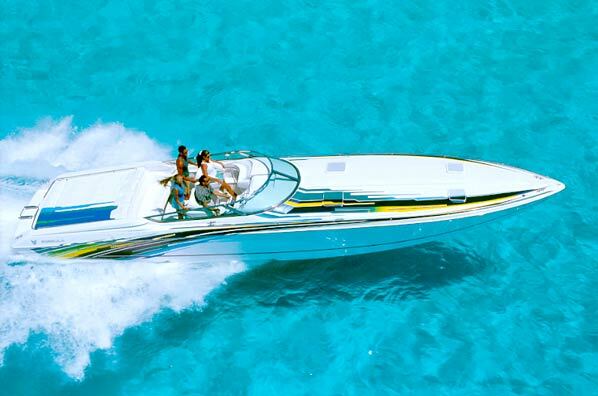 Performance-boat sales were beginning—at least—to slump at the time. Tooling for the elaborately detailed 43-footer was expensive, meaning Sunsation would have to sell a lot of them just to cover the costs. It was a big gamble at a time when the go-fast game was shaky at best. And it paid off, at least in terms of recognition. 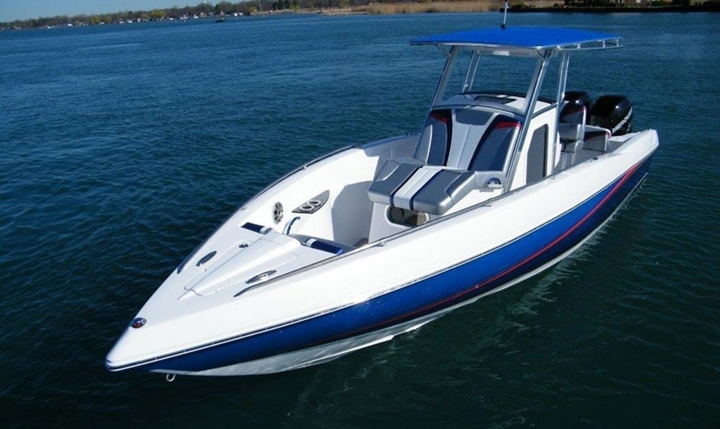 Thanks to exceptional performance, craftsmanship and attention to detail, the F4 received raves from performance-boat enthusiasts and won Powerboat magazine’s New Model of the Year Award in 2007. “I think it was the right thing to do because it gave our company some serious national recognition,” says Wayne Schaldenbrand. “You build something of that magnitude and all of the sudden you’re a player. It also hooked us up with some exceptional clientele. Every one of our F4 buyers has done more for us than we expected—the first one actually gave us the money to ignite the project. These guys have the money to go on poker runs around the country. We just show up and help them with their boats. The F4 did us a lot of good. Despite economic conditions that Schaldenbrand simply describes as “brutal,” he is delighted—to put it mildly—with buyer response to the 36 Dominator. However, he knows that it will take much more than a popular new model to keep Sunsation on its current growth track. “The market might have turned a bit because a lot of the distressed boats are somewhat purged,” he said. “Financing is still crippling, but we’re still seeing buyers. 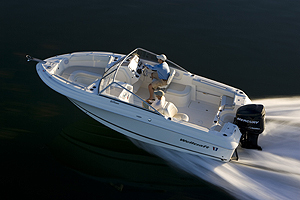 And we’re doing everything we can to make sure those who want to buy a boat get exactly what they want. 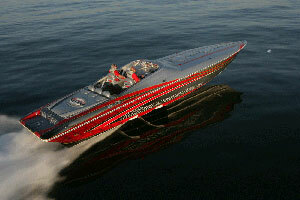 One of our 32’ Dominator buyers, for example, is a real speed demon. So we flipped the boat over, blueprinted the bottom, raised the X-dimension (drive height) and ordered him some special props. Another guy’s wife wants a really special table in the cabin. So we’re custom painting one at no charge.